Not long ago, evolution of the pickup truck species left reality and normal-sized parking spaces behind. “Full size” doesn’t apply anymore, “supersize” does. That’s left white space for so-called mid-size pickups like the 2019 Chevrolet Colorado and 2019 Ford Ranger. 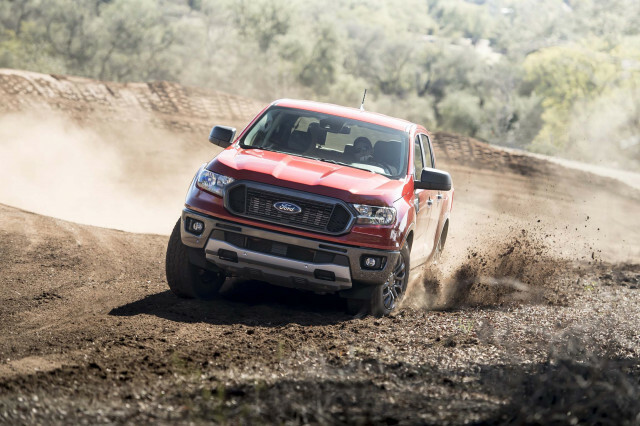 Both models were temporarily shelved by both automakers for a time, the Ranger most recently returned from its “bug truck” compact days to a mid-size feeding frenzy for 2019. 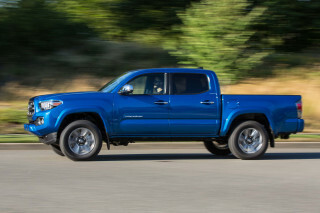 Of course, mid-size is relative here: The 2019 Chevrolet Colorado Crew Cab is only five inches shorter than the 2009 Chevrolet Silverado 1500 Crew Cab. 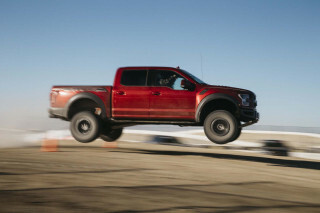 Evolved another decade from now, full-size pickups may rival aircraft carriers in size—and places to land small aircraft. 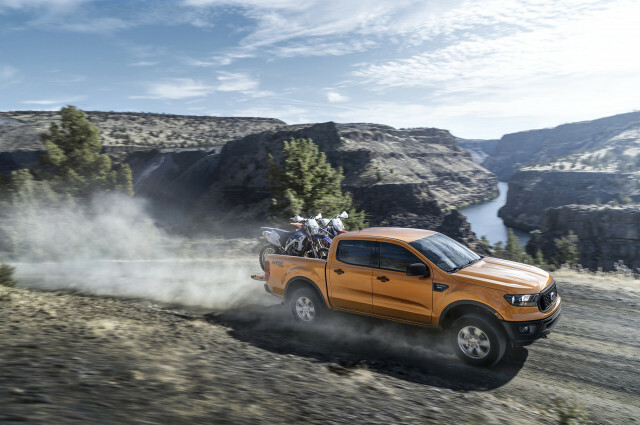 By contrast, the new Ford Ranger and Chevrolet Colorado fit comfortably in most garages, around town, and are useful for 80 percent of the tasks asked from everyday pickups. Our rating scale prefers the Ranger, but not by much. The 2019 Ranger rates 5.8 on our overall scale and the 2019 Colorado rates a 5.3. The difference is mostly in safety, where disappointing crash-test scores let the Chevy down. Not many will confuse the Ranger or Colorado for being anything other than pickup trucks. Both trucks have roots around the world, and the Ranger most recently arrived on our shores for 2019. The Colorado’s swoopier looks, which were also cribbed from a truck on sale in Asia, nudge it ahead on our ratings scale, but only just. Inside, the Ranger could have more verve, but too often the trucks are dressed in coal-bin black trim that hides any style. The best look of the bunch is also the most expensive: the Colorado ZR2’s butch looks are cool, but also start at about $45,000. We give the nod to the Ranger’s powertrain, even though the Chevy offers more variety. 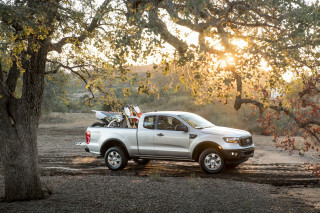 The new Ranger is powered exclusively by a 2.3-liter turbo-4 and 10-speed automatic that drives the rear or all four wheels. We like the small engine’s 270 horsepower, torquey pull off the line, and 7,500-pound tow rating. The Colorado offers a trio of engine options, but we land on a familiar powertrain as our pick. 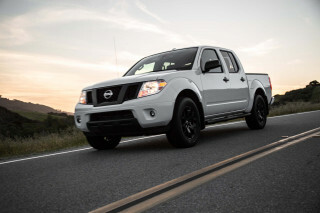 The base engine is a 2.5-liter inline-4 that’s best suited for work detail, around town. The top-shelf engine is a 2.8-liter turbodiesel that tacks on thousands to the bottom line, but it’s refined and strong. Our pick is the middle option, a trusted 3.6-liter V-6 that makes 308 hp mated to an 8-speed automatic. It’s rated to tow up to 7,000 pounds, but feels easily up to the task. The Colorado’s available turbodiesel is the towing champ of the two, it tugs up to 7,700 pounds. Both trucks ride on ladder frames with leaf springs and can shimmy from side to side on bouncy roads. Neither truck is especially harsh on roads, however. 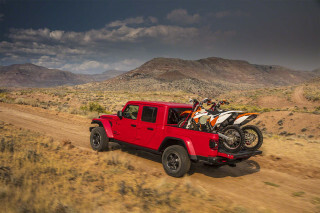 The Ranger and Colorado diverge slightly in four-wheel-drive systems: 4WD Rangers get a part-time system, and while most Colorados will get a part-time system too, an automatic system is available on higher trim levels, including Z71s. Both trucks are available as extended- or crew-cab models but buyers increasingly opt for four-door versions, and we base our ratings on those trucks. 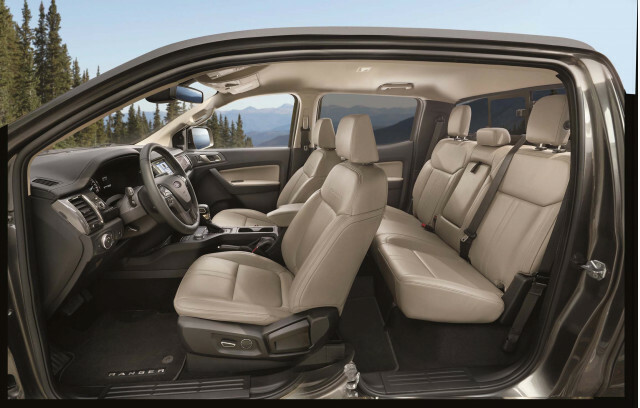 The Ranger has a little less rear-seat room than the Colorado, but we liked the Ford’s seats just a little more for overall comfort. Federal testers haven’t yet crashed a Ford Ranger, but the Colorado’s scores are a sore spot. The NHTSA gave the Chevy a four-star overall score and the Colorado can’t be equipped with automatic emergency braking at all. Ford makes the life-saving tech standard on every model. 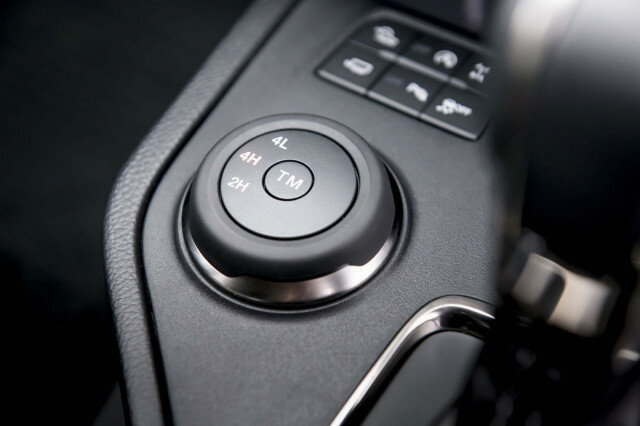 Aside from automatic braking, all Rangers are equipped with power features, Bluetooth connectivity, a 6-speaker stereo, and single USB port. A 6.5-inch touchscreen for infotainment requires opting for XLT models that push the price past $30,000, and even then, the system is an extra-cost option. We think that’s where most buyers will be anyway. 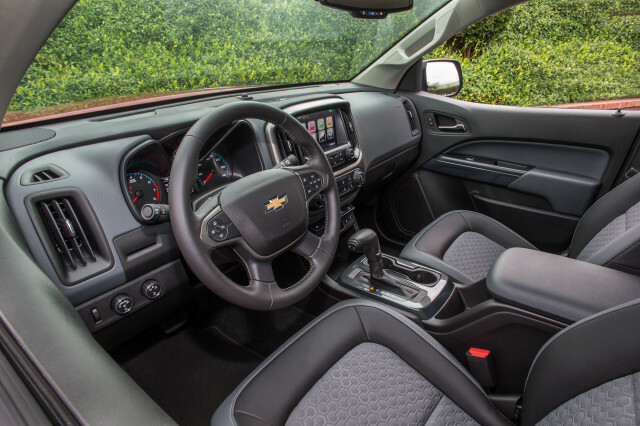 The Colorado is better equipped a standard 7.0-inch touchscreen, Bluetooth connectivity, power features, and a power-adjustable driver’s seat on every model. Most buyers will opt for versions that tip past $30,000, too, but the Colorado offers an 8.0-inch screen and two USB charge ports. In the end, it’s a close race between the mid-sizers but the Ranger nudges slightly ahead based on its powertrain and included safety features. For most truck buyers, however, either pickup offers enough capability for how buyers really use them—and can fit into a parking space. 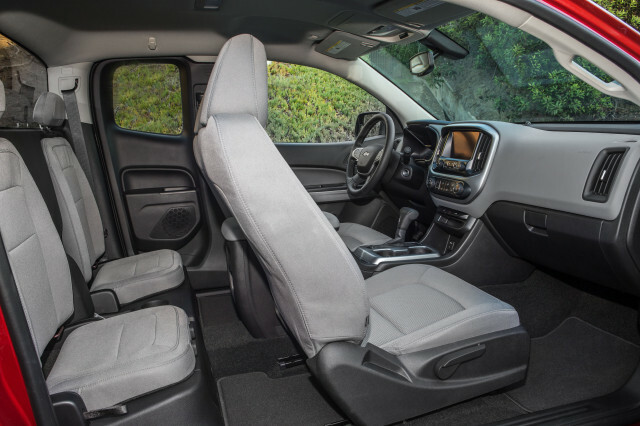 The 2019 Chevrolet Colorado is comfortable up front, but rear seat passengers will find a more upright ride than desirable. While a solid truck in many respects, crash safety is not the 2019 Chevrolet Colorado’s strong point. The 2019 Chevrolet Colorado can be a spartan work truck or serious off-road rig and everything in between. 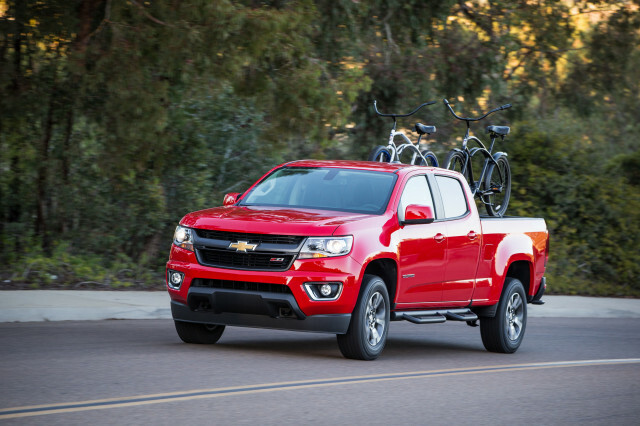 The 2019 Chevrolet Colorado can be quite thrifty with the right options. We have sent your request for price quotes on the 2019 Ford Ranger and 2019 Chevrolet Colorado to the dealers you requested. They should be in touch shortly. Your request for a fast, free price quote on a 2019 Ford Ranger and 2019 Chevrolet Colorado is in process. The CarsDirect Dealer(s) listed below will contact you shortly to discuss your request and to provide a quote.